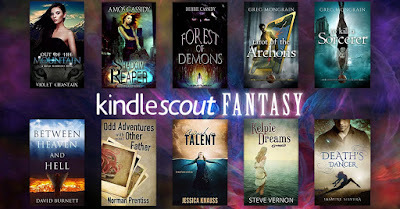 In honor of the Kindle Scout Second Anniversary Sale, I'm sitting down with Jasmine Silvera, author of the fantasy Death's Dancer. We found each other when I commented that Awash in Talent is a fantasy, but doesn't follow rules, and our conversation didn't follow many rules, either. View the action as it unfolded here. 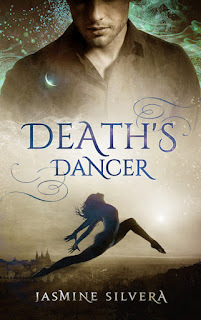 We talked about the ways her novel surprised her, the Easter eggs she's hidden inside Death's Dancer, and whether there's any fun to be had outside of writing. See below for some good chatting between authors. Jasmine returned the favor and interviewed me, and posted a transcript at her blog, too! Isela Vogel is dancing on borrowed time: a degenerative hip threatens her successful career bringing the favor of the gods to her patrons. 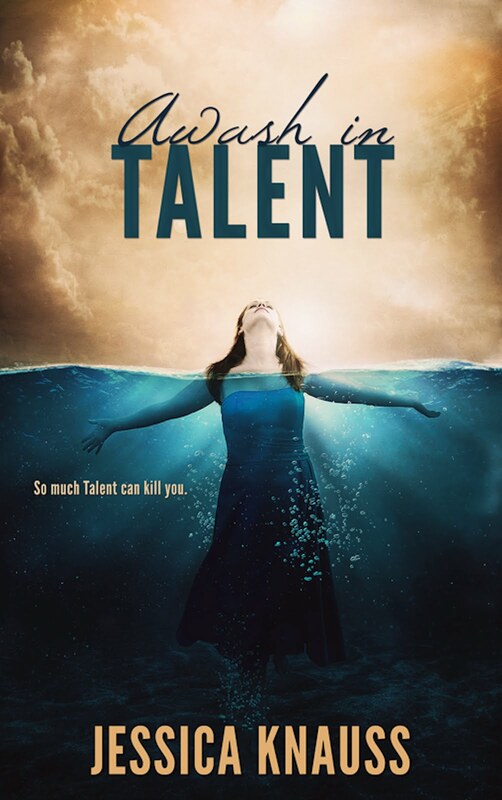 Now, one big job could set her up for life; if it doesn't get her killed. The Necromancer Azrael must harness the power of a god to stop a killer, and that requires a dancer. Capricious gods and scheming necromancers are the least of Isela's worries. If she and Azrael fail, it will cost more than her life. If they succeed, she will lose everything she loves. Jessica Knauss Your novel is so imaginative. Did it surprise you? How? Jasmine Silvera It was quite a surprise, though I'm a diehard plotter—when I started Death’s Dancer, I thought I was writing a straightforward alternate world fantasy, or even old school Urban Fantasy (à la Charles de Lint and Emma Bull—before it was mostly badass chicks with swords and/or guns and/or magical powers). Prague just has this otherworldly feel that leant itself to that. It was going to be much more of an ensemble book. But Azrael and Isela had such strong voices, and their attraction kept "getting in the way." So at some point, I stopped fighting it and let them do their thing. Though, to be clear, I love a good badass chick Urban Fantasy! Marjorie Liu's Hunter's Kiss is one of my all time favorites! Jessica Knauss I love reading about your version of Prague. What's your link with that city? Jasmine Silvera We lived in Prague for almost two years. Shortly after we got married, Mr. Silvera's job presented the opportunity to relocate. We jumped on it! We have the best souvenir ever: my daughter was born there. Jessica Knauss When your characters took over, did it generate any material that you had to edit out? Jasmine Silvera Strangely, no. They really helped me focus! I did have to edit a lot of the details of the scenery and city though. I could go on and on about the cobblestone patterns throughout the city and how they change in different neighborhoods. Prague as so many incredible place details, and buildings and particular bits of history. When the book began to creep toward 100,000 words, I took a hard look at how much of that I absolutely needed to give a sense of place. Anything that didn’t help move the story forward, or define the characters in some way had to go. Sadly. Jessica Knauss Maybe you can use the material in a travel guide later. Jasmine Silvera Yes! I have a "streets of the necromancer" tour in the back of my mind. Someday, maybe! Jessica Knauss Jasmine, I'll sign up for that tour. Jasmine Silvera If anyone is looking for a book that does an AMAZING job of incorporating the history and sights of Prague in a modern mystery setting, check out City of Dark Magic by Magnus Flyte. It's a real work of art! Jessica Knauss What was your favorite scene to write? It was a fun challenge to give everyone enough screen time to make them worth being in the scene, and make all of their personalities distinct enough that it doesn’t get too confusing and move the plot forward. I (hopefully) succeeded. Jessica Knauss I haven't gotten there yet, but I'll bet you succeeded. I also sense that you enjoyed writing about choreography. I practically felt like I had been dancing after reading some of the scenes. Jasmine Silvera I do, although I'm more drawn to Latin dances—flamenco, salsa, tango—than ballet or modern dance. I actually stumbled into salsa. I wanted to be a tango dancer, but I was told I had too much "hip action" and I should try salsa. I fell in love... And it turns out everybody on my mom's side of the family could Salsa but me. Who knew?! 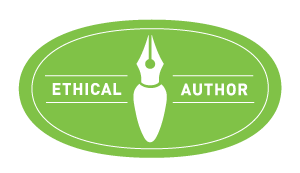 Jessica Knauss Do you hide any secrets that only a few people will find in your books? Jasmine Silvera I’m a huge Marvel Cinematic Universe fan, so of course I had to slip in a few easter eggs. My goal was to try to make them unnoticeable if you aren’t aware of them. I don’t want my attempt to to be "clever" to pull the reader out of the story in any way. A lot of them are around character interaction or specific character traits. People who know me will have lightbulb moments. I’ve also tried to seed a few things for future books: one bit between Gregor and Isela is a setup for something that happens later in the series. 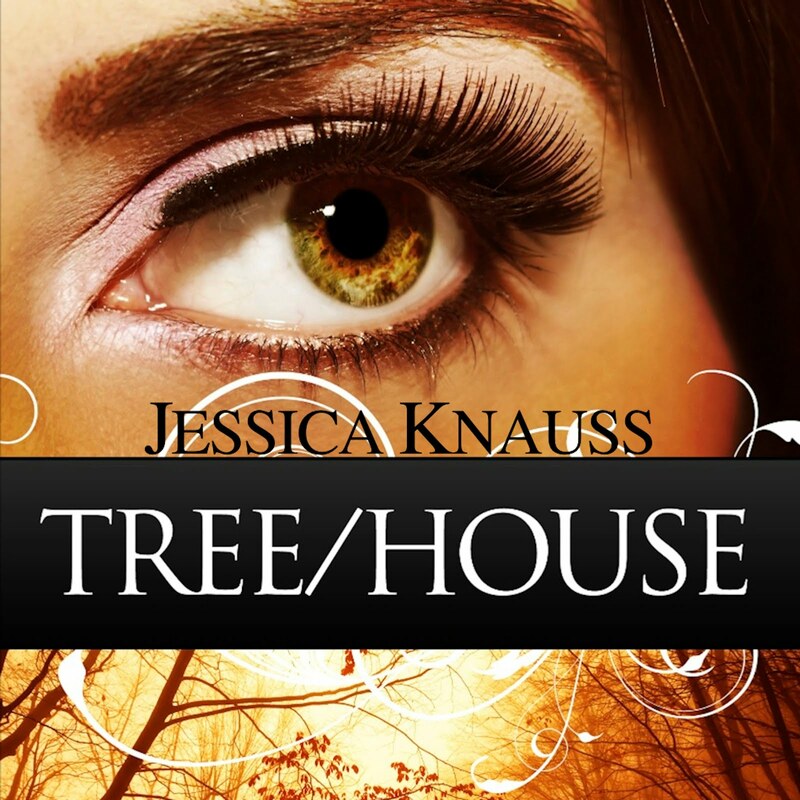 Jessica Knauss How do you select the names of your characters? I ask because they're beautiful, unusual, and also seem to point to ancient traditions. Jasmine Silvera Thank you! I wanted them to be unique but pronounceable. Sometimes characters come fully formed, names and all. Isela was always going to be Isela. She was pretty stubborn about that. And I have no idea where it came from. I just woke up one morning with "Isela. Issy." Azrael on the other hand was a mystery until the middle of the second draft. I wanted something that sounded old but familiar. I was flipping through a book of Angels for an entirely different project and came on the Angel of Death. Azrael is one of the few angels that appears in the theology of Judaism, Christianity and Islam under a similar name. That got my ‘what if’ machine going. Divinity is a fickle thing: it’s a matter of faith and interpretation. What if Azrael wasn’t an angel, but a powerful sorcerer with the ability to control death? For side characters I tend to look up popular names in the years that character would have been born. I also try to be conscious of a character’s background when naming. One of my favorite antidotes (also a great argument for why you need beta readers) revolves around naming a character. One of Isela’s friends originally had a very Czech name. At one point pretty late in Dancer’s production, a friend (who is Czech) pointed out that as the character came from a Russian background it was unlikely she would have been given a Czech name. It was a tiny detail that most people wouldn’t have noticed, but I think those details add up to credibility to a story, especially one that veers so heavily into the fantastic. I probably obsess over it way more than I should. Jessica Knauss Did you read a lot as a child? Was there one book that you couldn't live without? But to answer the question: I read Watership Down probably a dozen times. It was terrifying and thrilling and mundane all at once. I’ve never looked at rabbits the same way. Yes I get something new out of it every time. It's also the book I've bought and given away more than any other. Jessica Knauss That's a complex book that stands up well to multiple readings, even by a brilliant reader. And I hope there will be libraries on your Prague tour. Jasmine Silvera Here's my personal favorite. Jessica Knauss All this creative writing can really take it out of you. How do you relax? Jasmine Silvera Yeah, blocking dance and fight scenes really takes it out of me. I’ve practiced yoga for over ten years, so I tend to unroll my mat when I’m feeling stressed. I used to be a runner, but I was always getting injured. Walking the Camino de Santiago taught me to enjoy the joy of just taking a steady pace and looking around at the things I pass grounds me. It’s deeply restorative. Now I'm a walker. Jessica Knauss I commend you for using physical activity to unwind from the brain drain of writing. I hope to walk at least some of the Camino someday. 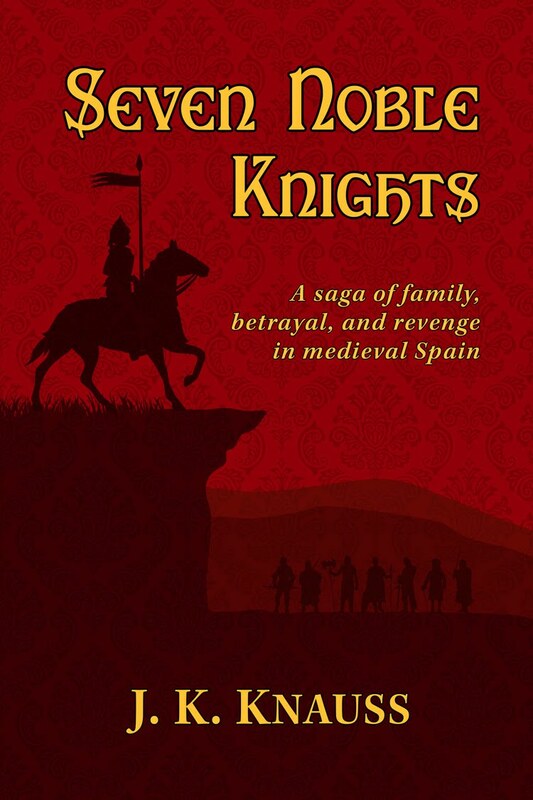 It seems like a great idea, and it's my duty as a medieval Hispanist. Jasmine Silvera Jessica, with your extensive background in Spanish history you would probably get way more out of it than I did. If you ever do decide to do it, let me know. I'd come along just to learn a few things! Jessica Knauss Sure thing! Last question: Besides writing and walking, what other things do you enjoy? Jasmine Silvera I love making photos. In another life I would have definitely been a photographer. I’m pretty devoted to my Instagram account, because it lets my inner shutterbug have an outlet. I started playing the cello in my late twenties, and though I’m not very good (and have very little time to practice these days) it’s one of my favorite nonwriting challenges. Jessica Knauss Find Jasmine’s lovely photos on Instagram. Thanks for a lively conversation, Jasmine. Jasmine Silvera Thanks so much for taking the time to talk to me, Jessica! It's been a wonderful exchange. All Kindle Scout–winning titles are on sale for 99 cents now through April 3. 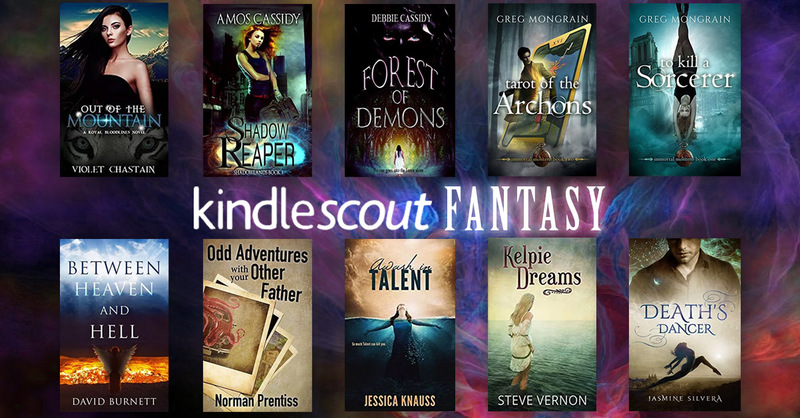 Fantasy, YA, romance, mystery, thriller, suspense—Kindle Scout loves them all!